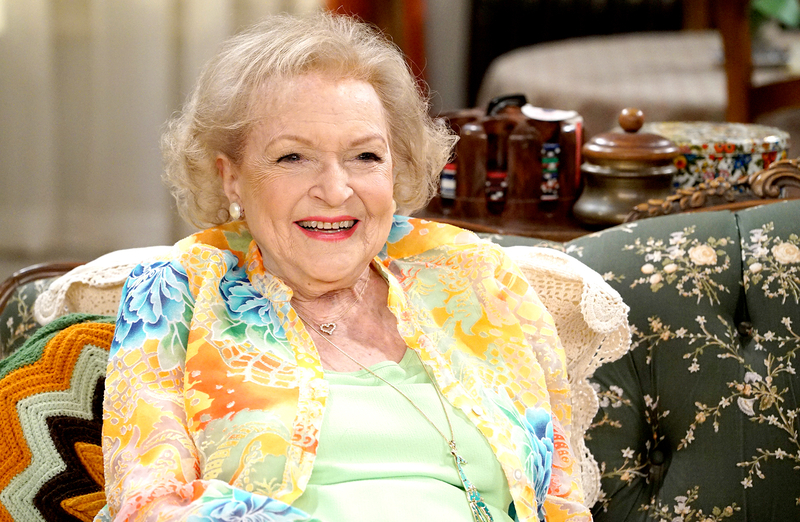 Welcome back, Betty! 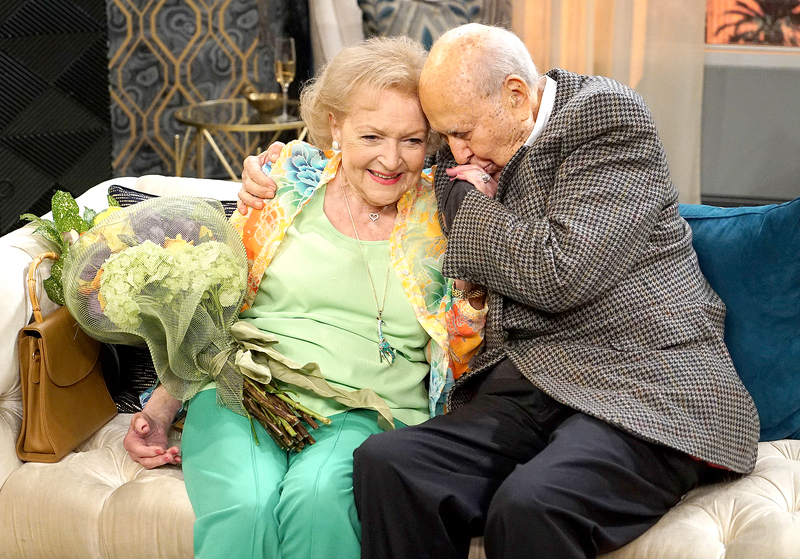 On Young & Hungry’s Monday, May 8, episode, guest star Betty White returns and initiates a girls’ trip to Las Vegas, as seen in Us Weekly’s exclusive sneak peek. In the clip above, Gabi (Emily Osment) and Sofia (Aimee Carrero) go to deliver birthday flowers to their neighbor Ms. Wilson (White) and Gabi reveals that it is her birthday as well, although viewers learn in the episode that she is mysteriously upset by the big day. “The card wasn’t signed,” Sofia tells Ms. Wilson of the special delivery. “Who’s your secret admirer?” Ms. Wilson replies: “I don’t know. Maybe my cross-fit trainer?” After a moment of pondering, she concludes that the flowers “could be from Bernie,” to which Gabi excitedly asks, “Sanders?” Much to Gabi’s disappointment, the flowers are not from the politician, but from a man Ms. Wilson met in Las Vegas 20 years prior. Reiner), while back at home, Josh (Jonathan Sadowski) attempts to figure out Gabi’s sadness over her birthday. Watch the hilarious moment in the clip above. Young & Hungry airs on Freeform Mondays at 8 p.m. ET.